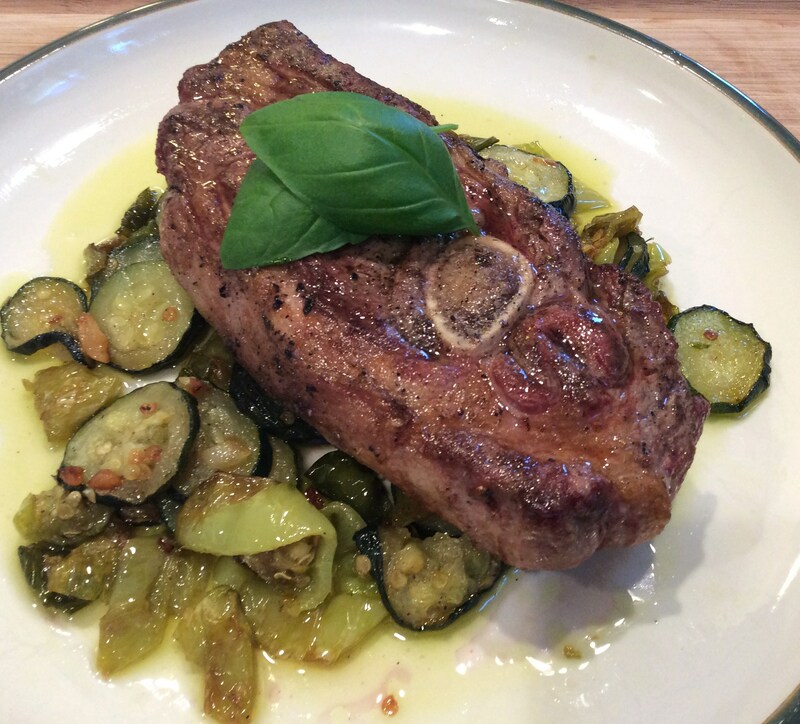 There is nothing fancy about this recipe but it sure tasted great! 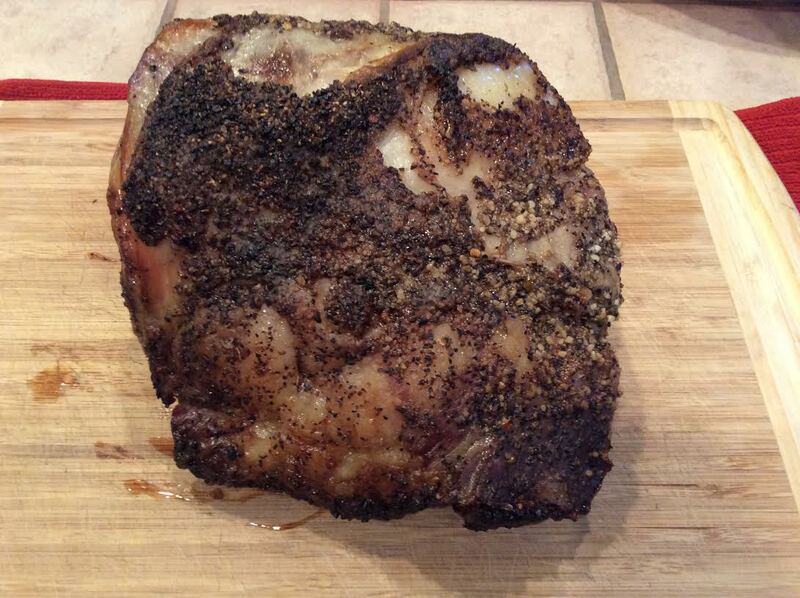 The other day I picked up a slow roasted/smoked pork knuckle at a local deli for lunch. It weighed a pound and I only ate about half of the meat. I took the rest home for later. The knuckle had the skin and fat on it and it reminded me of a smoked ham hock. 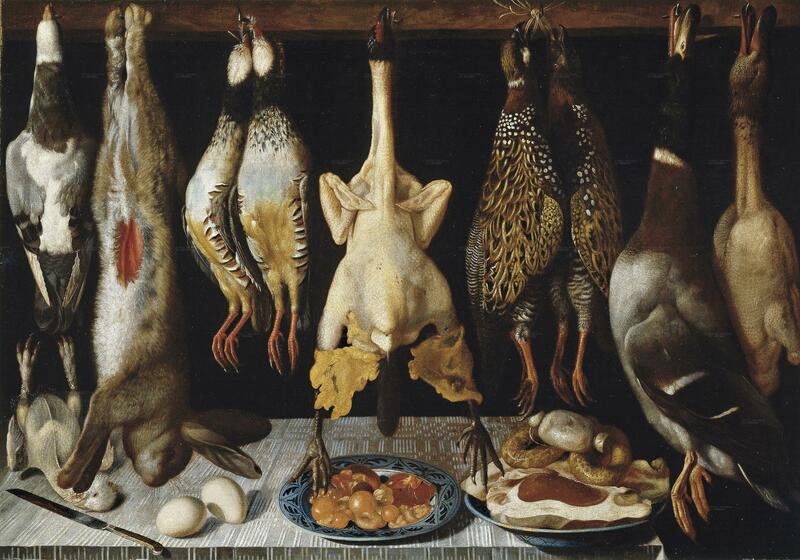 The difference was in the amount of meat that was on the knuckle compared with a ham hock. There was a lot more meat on the knuckle and it did not have as harsh a smoke flavor as some ham hocks can have. I decided that I would make a pork and bean stew with the left over meat and bone. I added 3 pork loin chops, Italian beans, cabbage, carrots, onion, celery and chicken broth to the meat and cooked it in my wood oven. I had never cooked a stew in this oven and I was a little concerned that due to the intense heat of the oven the liquid in the stew would evaporate before it was finished cooking. My concern turned out to be unfounded. 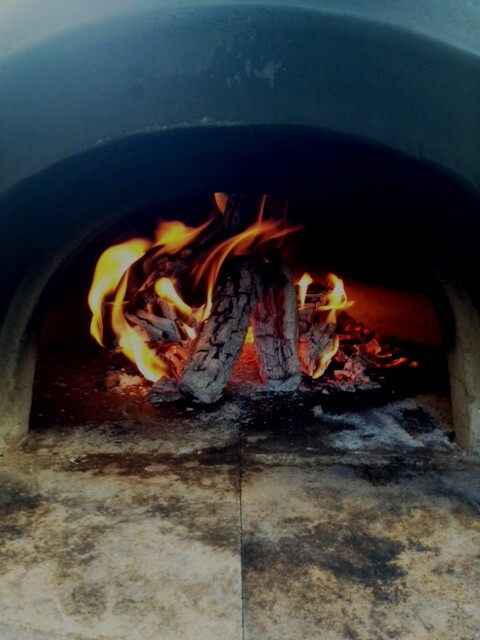 I had cooked in the wood oven the night before and the oven was still hot. However, I wanted the temperature to be a little hotter. I added a few pieces of hardwood and lit a new fire. The oven was to temperature (600 degrees) in about 30 minutes. 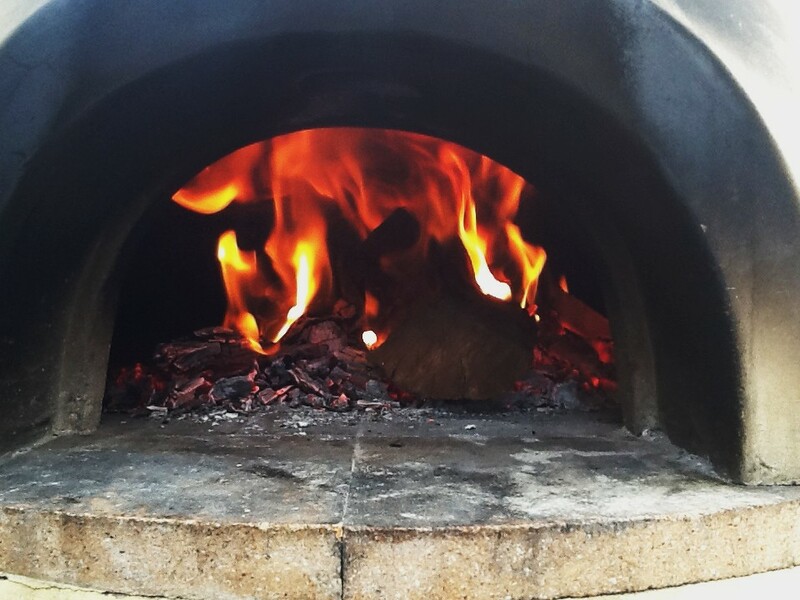 I like to cook as much as possible outside in the wood oven during the summer because it allows the house to stay cool by not turning on the range in the kitchen. I also just like the flavors of the foods that are cooked over wood better then anything you can cook in an electric oven. 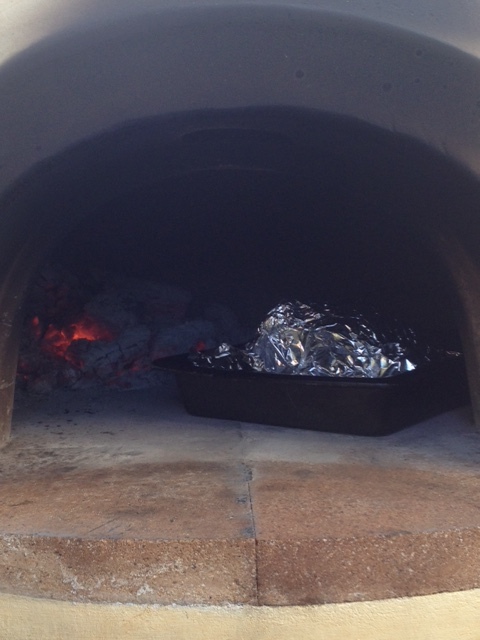 I pushed the coals to the back of the oven and inserted the cast iron pot into the middle of the oven. I left the pot in the middle until the liquid started boiling. Once the liquid was boiling, I pulled the pot to the front of the oven where the temperature was closer to 375-400 degrees. I turned the pot around every fifteen minutes to allow both sides to heat evenly. I let the pot cook for about 1.5 hours. I removed the pot from the oven 3 times to stir the stew to make sure it did not singe on the bottom. 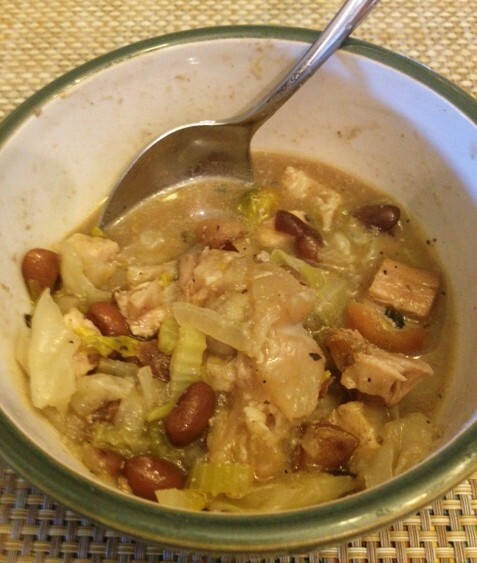 The stew was perfectly cooked and the beans and vegetables were just right, not too soft or too firm. The stew had a slight smokiness from the pork knuckle and from the wood fire. I was pleasantly surprised with how this stew turn out. I will definitely make this recipe again this fall when the weather turns cooler. 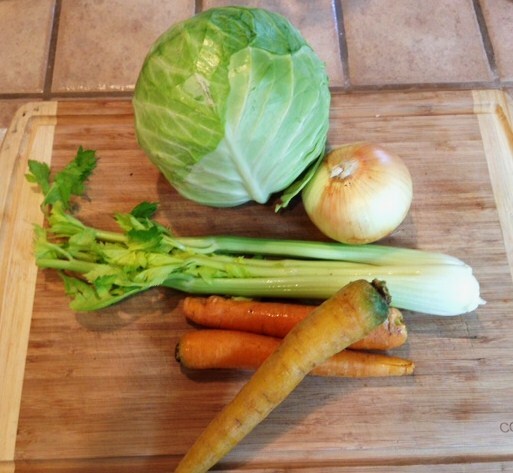 1 head of cabbage. You can use kale, spinach or any leafy vegetable you prefer in your stew. 1 heart of celery with the leaves, chopped. 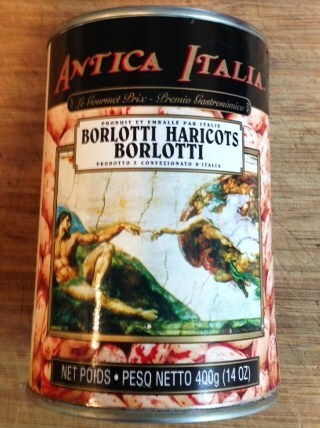 3 cans of Borlotti Haricots Beans. 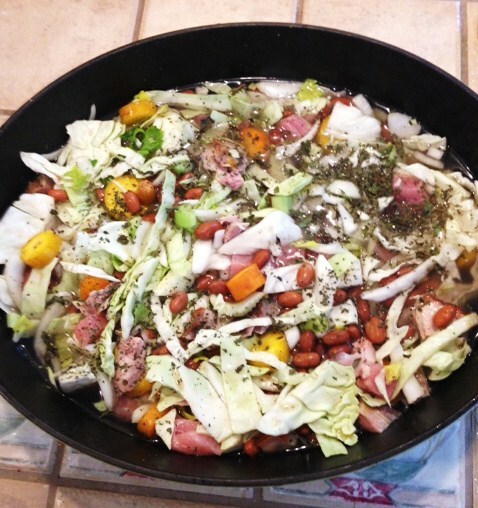 Do not discard the liquid from the beans, include in the stew. 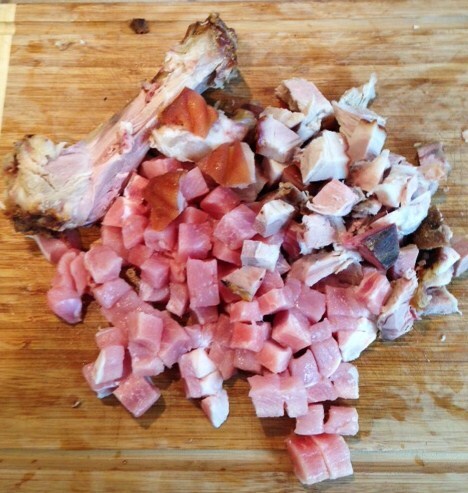 1 smoked pork knuckle 1/2 – 1 pound, diced. Include the fat and skin. In a heavy cast iron pot, combine the prepared vegetables, basil and diced meat, fat and skin. Add the chicken stock and water. Season with salt and pepper to taste. 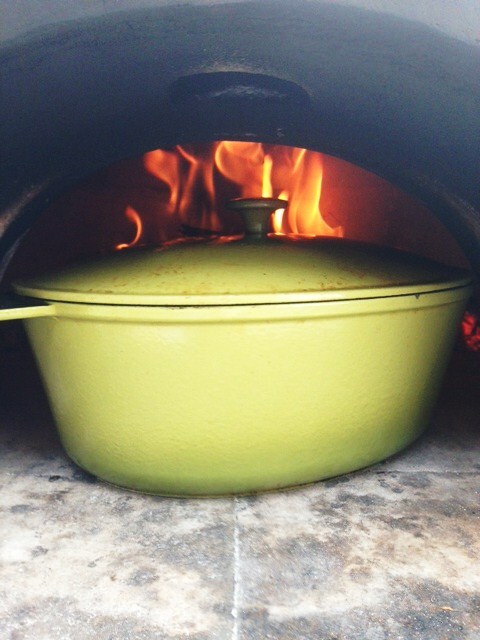 Cover the pot with a lid and place in the middle of the wood oven. Let the stew cook until it is boiling. Once the stew is boiling, remove from the center of the oven and bring the pot to the edge of the oven. Let the stew cook for 1.5 hours. Rotate the pot every fifteen minutes so both sides cook evenly. Serve with fresh baked bread and a nice glass of your favorite wine. There is nothing better then a summer meal of grilled steak, corn and arugula salad. Okay, maybe you don’t like corn and arugula but it is highly unlikely that you do not like a grilled steak unless you are a vegan. I am not a vegan and I love steak. My favorite cut of steak is the Rib-Eye. For me, the Rib-Eye has the best flavor and marbling. 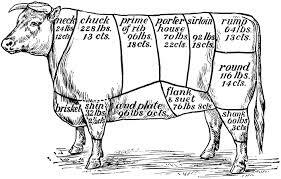 A Rib-Eye is a beef steak sliced from the rib primal of a beef animal, with rib bone attached. 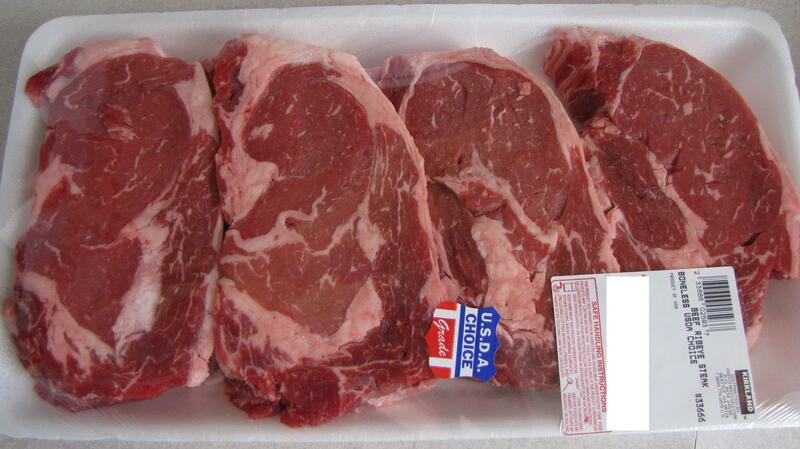 In the United States, the term rib eye steak is used for a rib steak with the bone removed. The Rib-Eye cut is both flavorful and tender, coming from the lightly worked upper rib cage area. Its marbling of fat makes it very good for slow oven roasting and grilling. I prefer to grill my steak over real wood coals. 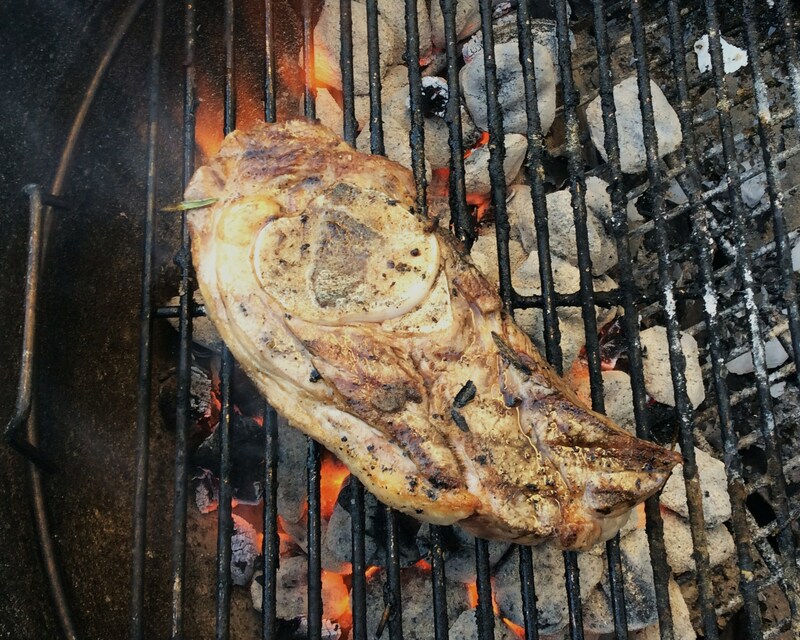 Charcoal and Lump Charcoal just don’t impart the same flavor to the meat as real wood does. I use oak, cherry, apple or a combination of all three when I grill my beef steaks. I believe that these woods do not mask the flavor of the meat and instead enhance it by not overpowering it with the flavor of smoke. It is important that your meat be of good quality. I recommend that your steak be at least of USDA Choice Grade. I get my meat at Costco. Costco has the highest quality Choice steaks that I have been able to find. The flavor and marbling in their Rib-Eye is excellent. Costco also carries USDA Prime beef and this meat is absolutely delicious and tender. If you can afford the Prime cut, then you are in for a special treat. There are as many ways to season a steak as there are seasonings. Seasoning is a very personal choice and everyone thinks theirs is the best. I usually prefer my steak rubbed with olive oil and seasoned with just salt and pepper. 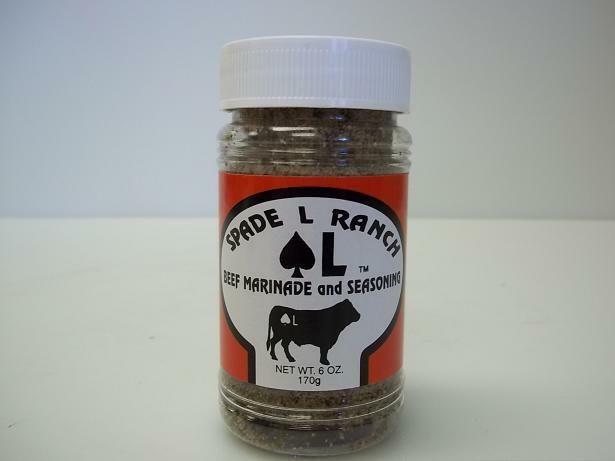 Recently, I discovered a seasoning named Spade L Ranch. I just love this seasoning on my steak. In fact, it is my new favorite way to season steaks before I throw them on the grill. 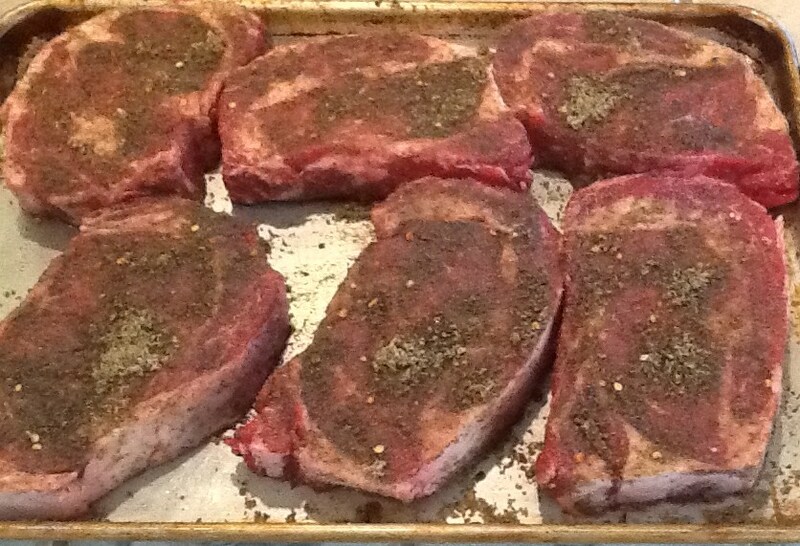 When I use the Spade L Ranch Seasoning, I take the steaks out of the refrigerator and remove them from the packaging. I place the steaks in a tray and then liberally season both sides of the steaks with the Spade L and then let them sit until they reach room temperature. 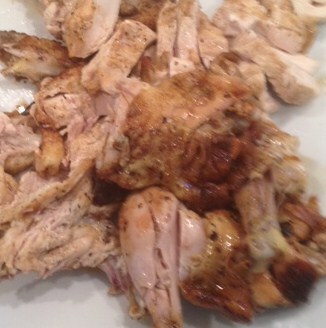 The seasoning also acts as a marinade and penetrates the meat. After about 30-45 minutes the steaks are ready for the grill. 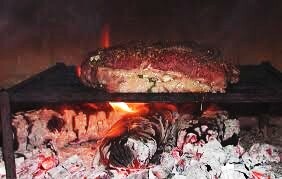 I usually start the fire in my wood oven about 2 hours before I am ready to cook the steaks. 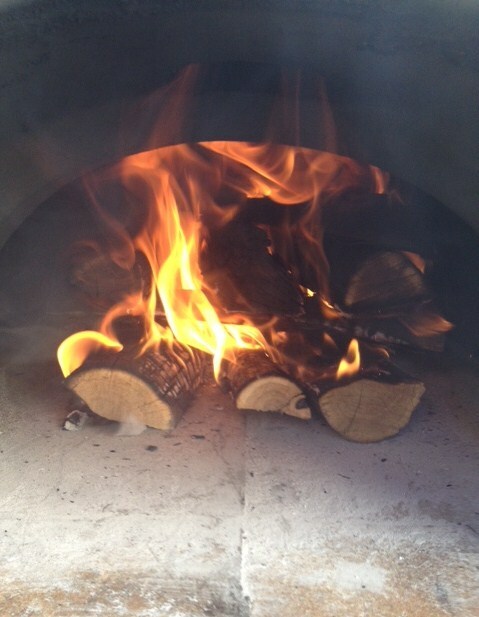 While the Rib-Eyes are marinating and coming up to room temperature, I am tending to the wood oven. The coals are ready when most of the flame has subsided and the wood coals are white hot. Once the coals reach this stage, I push half the coals to the side or rear of the oven and place another small log onto those coals. The log should ignite fairly quickly. I bring the remaining coals to the front of the oven and spread them evenly over the floor. If you need more coals feel free to add some from the pile in the back. 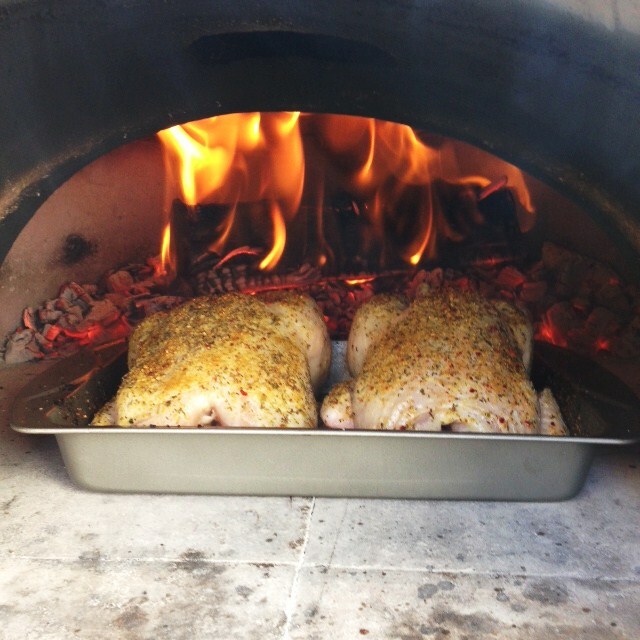 Once the coals are evenly dispersed on the front floor of the oven, place the cast iron Tuscan grill over the coals. Allow the grill to heat up. The hotter the grill the better the sear and crust on the steak will be. It is important to keep the coals hot. If there is a breeze it should keep the coals glowing and hot. If you have no breeze just blow on the coals to keep them white hot. 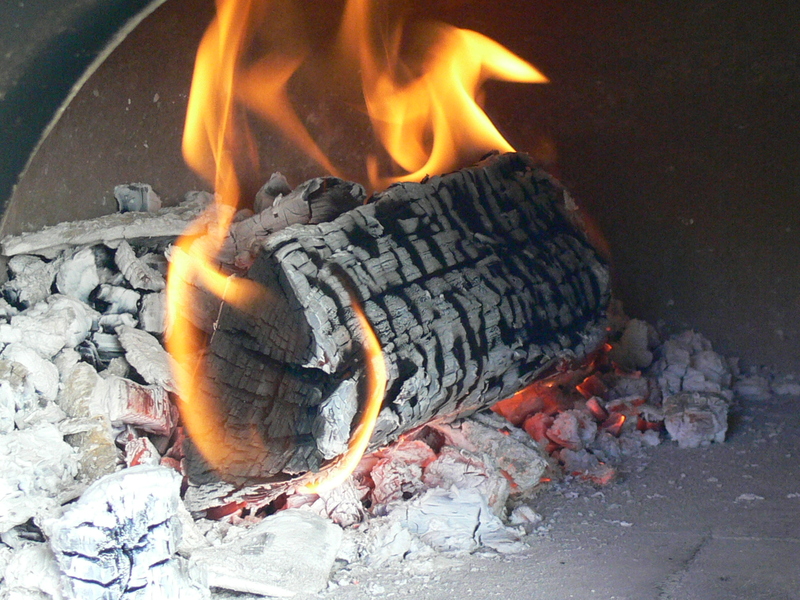 If you do not have a wood oven you can use a charcoal grill like a Weber Kettle Grill. Light the wood in the kettle and when the coals are white hot and the flame has subsided, cook the steaks. Cover the kettle grill for maximum effect and flavor. 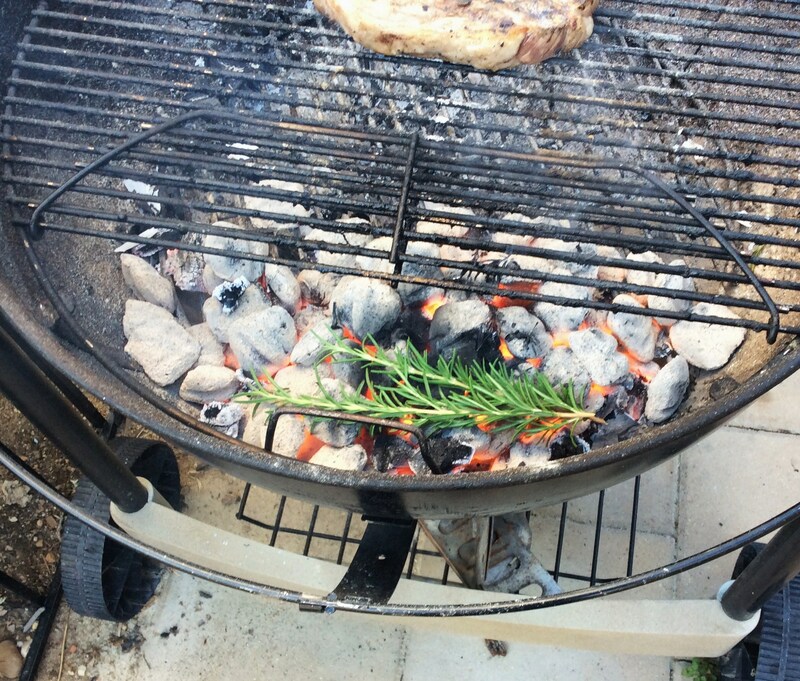 Once the Tuscan grill is hot, slide the grill out of the oven and place the steaks on the grill. Slide the grill back over the coals. The steaks will immediately begin to sear when they touch the grill. Inside the oven the steaks will cook very fast. The temperature of the oven will probably be close to 1000 degrees. It is very important that you do not get distracted during this phase of the grilling. The thickness of the steak and the heat of the oven will determine the time it takes to cook the steaks. I like my steaks medium rare. It usually takes about 6-8 minutes total time. Make sure you test for the proper doneness a couple times while the steaks grill. Once the steaks are done, remove from the oven and cover with foil. Allow the steaks to rest for about 10-15 minutes. Roasting Corn On The Coals. 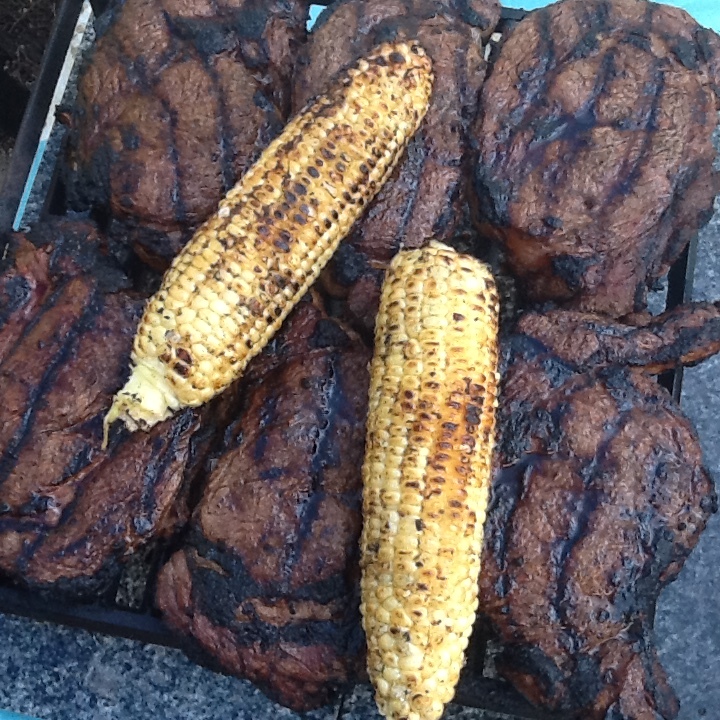 While the steaks are resting, take your shucked and cleaned ears of corn and season each ear with butter, salt and pepper or any mixture of seasonings you prefer. 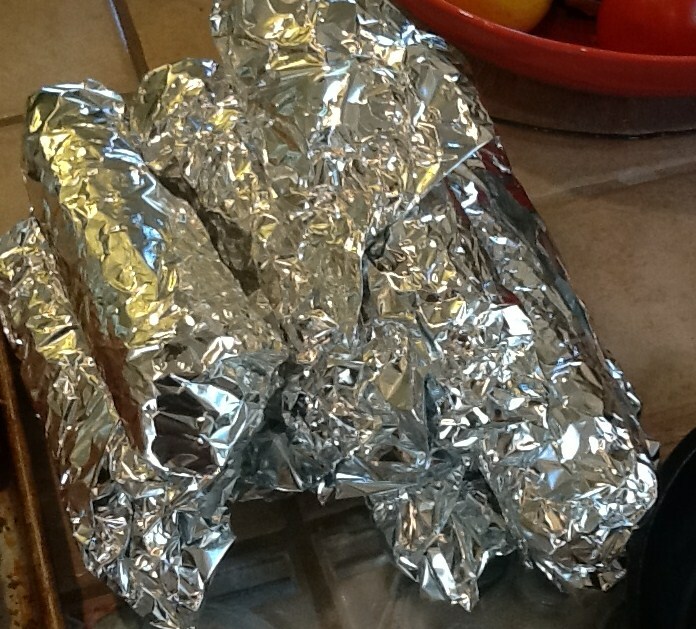 Roll each ear of corn individually in a sheet of foil. Make sure the corn is wrapped tight. Add some more coals from the pile to the front of the oven. Now, place each ear of corn directly on the hot coals and allow to cook. Turn the ears over several times. The corn is done once the kernels have a nice char on them. This should take about 4-5 minutes. 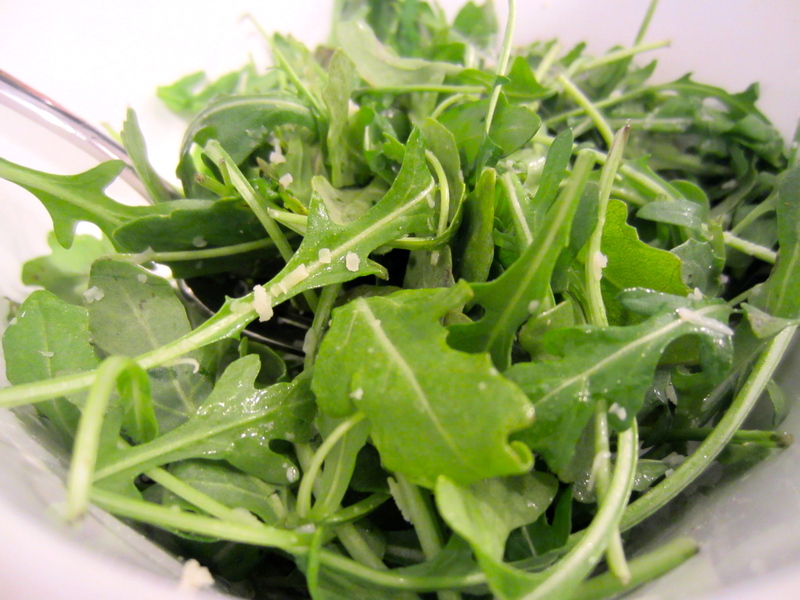 I love a nice arugula salad with my steak dinner. It adds a nice bit of peppery freshness to the meal. My salad is very simple to make. I just dress it with olive oil and a squeeze of fresh lemon juice. That is all you need. If you would like, you can add some salt to taste. I like to serve the steak and corn on the the Tuscan grill in the center of the table. Be careful the grill will still be hot! I hope you get a chance to try this meal this summer. Enjoy this meal with a nice bottle of Zinfandel Red wine from Sonoma California! In my mind there is nothing more satisfying then wood roasted shellfish on a perfect summer evening! Lobster, mussels, crab, clams and shrimp all served hot and fresh from the wood oven as they simmer in a bath of butter, wine and their own delicious juices. Fresh shellfish will infuse the dish with the salinity and flavor of the ocean and make the meal more memorable! The smoke from the hardwood also adds a slight smokiness that elevates the dish to the next level. The best shellfish for this recipe are those that have been harvested just minutes or a few hours from their briny homes. I live in Utah so the best I can do is shellfish that is a day old. While they are still good to eat, they are not as heavenly on the tongue as fresh ones straight from the ocean to your plate! 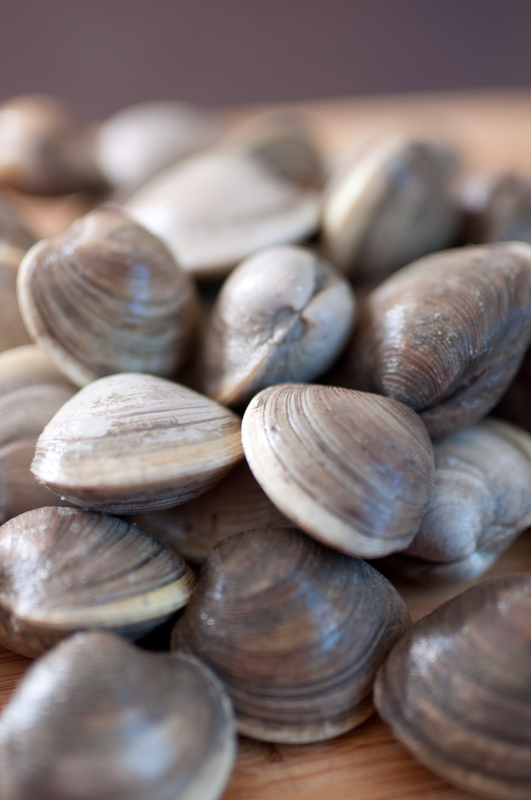 The following recipe works great with clams or mussels. 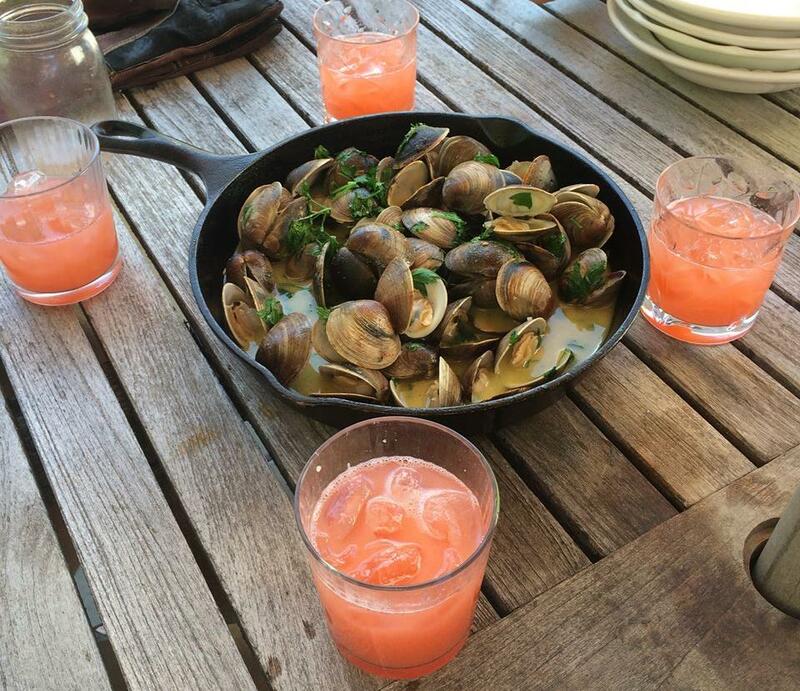 If you are lucky enough to live by a beach or bay that has a population of edible clams and mussels then it is easy and inexpensive to gather your own shellfish for this recipe. In most states, it is necessary to have a fishing license to collect clams and mussels. Certain states may also have seasons for the collection of clams and mussels. It is very important that you have the proper licenses and know the season dates before you gather your shellfish. 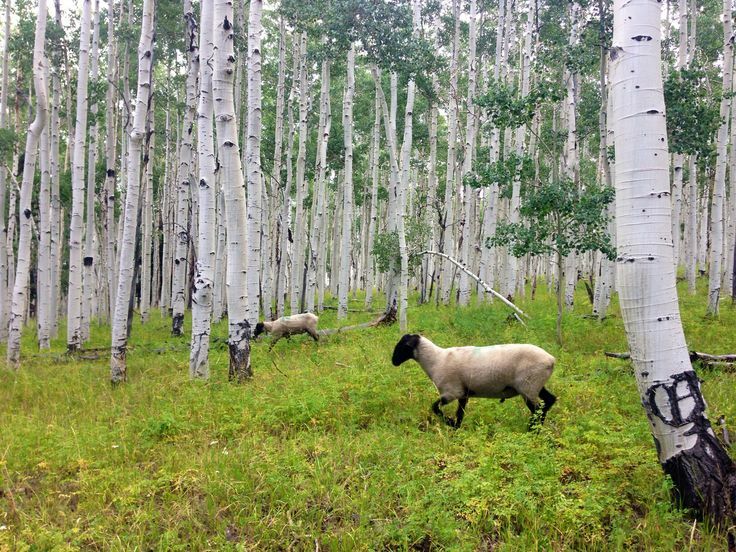 Check your states fish and wildlife website for regulations and license requirements. 2 pounds clams or mussels. 1 cup of a good white wine like Sauvignon Blanc or Chardonnay. 3/4 cup chopped Italian parsley. Place oak or cherry wood in oven and start fire. Heat oven until temperature on the floor is between 750 – 850 degrees. 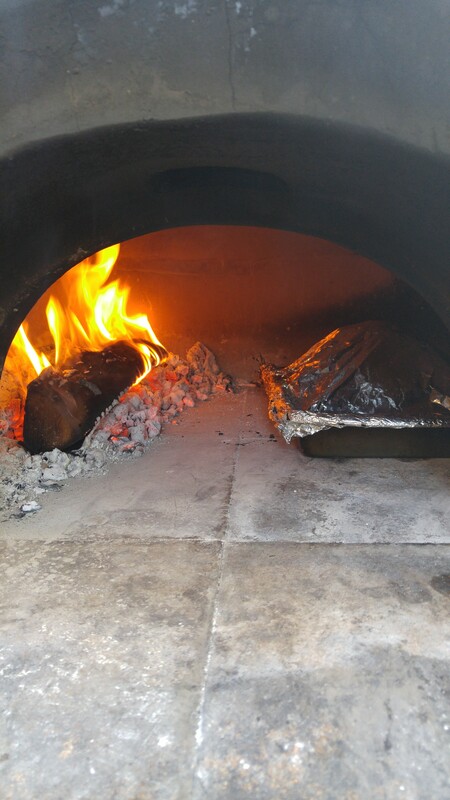 Push coals and wood to one side of the oven. Scrub clams or mussels until clean. Place shellfish in cast iron skillet and add the olive oil, wine and butter to the skillet. 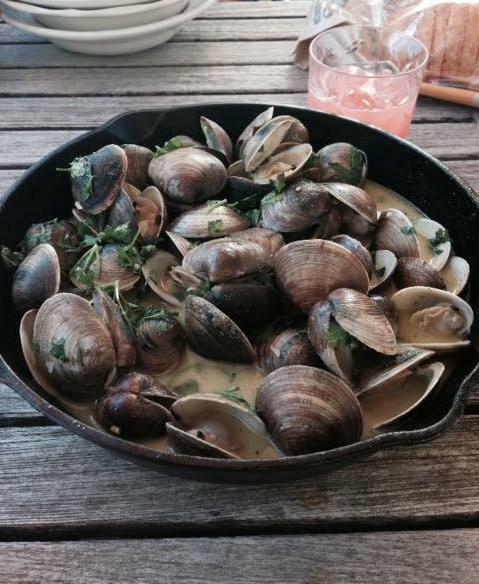 Place the skillet into the wood oven and cook until clams open. 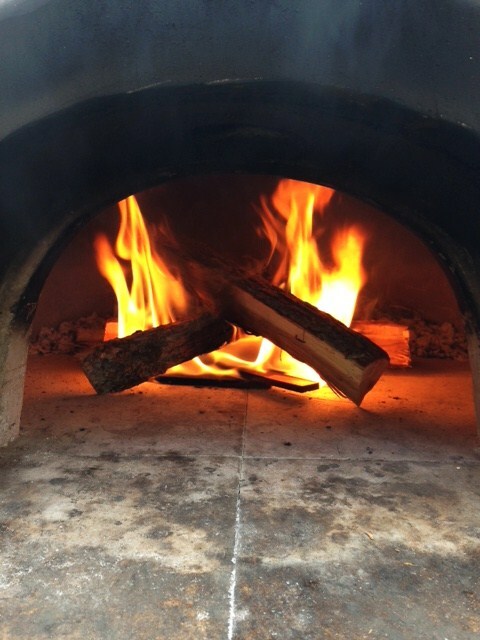 If the wood oven is at the prescribed temperature, this should only take about 3-5 minutes. The juices will also cook rapidly. Remove the skillet from the oven and sprinkle with parsley. Stir gently to incorporate the parsley into the sauce and clams. Serve with a good crusty bread to sop up all the juices!